It's time for a new Tic Tac Toe Challenge and this time I've busted out of my usual comfort zone and created a single layer (well mostly ha ha) CAS card that was colored with Prismacolor pencils. I have been getting some practice in with this "new to me" medium and I already appreciate the ease of using the pencils and using Gamsol to blend the colors. 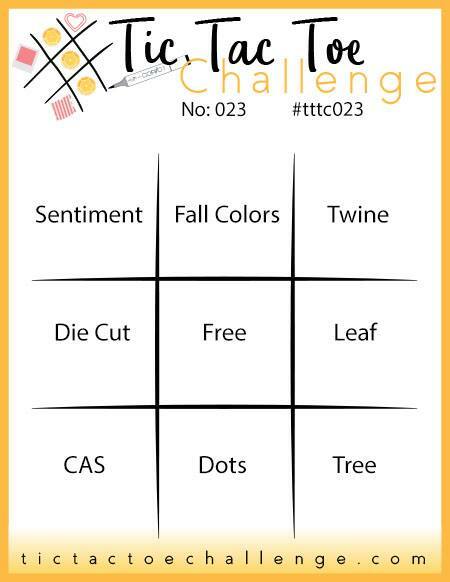 This week I chose the diagonal starting at the bottom left to top right: CAS - free - twine. 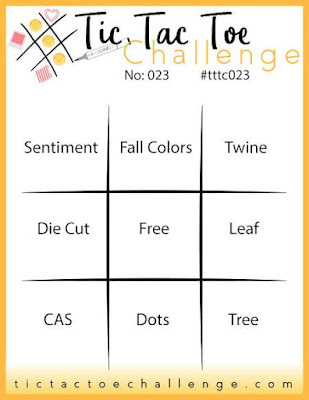 To check out the inspiration from the rest of the talented design team, please visit the challenge blog here and I hope to see you in the gallery playing along with us!! The little bug up in the corner is actually a bee stamp from Honeybee Stamps along with the dotted lines. I just colored it so it looked more like a little fuzzy bug instead of a bee. 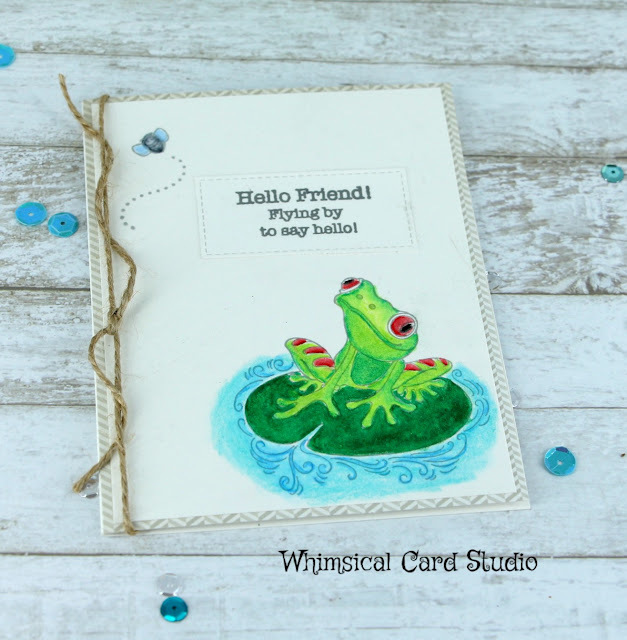 I was inspired to do this card entirely from a stamp I found at Michael's earlier this week with this frog on a lily pad. I thought it was so darn cute and since my best friend also happens to love frogs, I'm sure it's going to end up on a future birthday card for sure! Thanks for dropping by today! !